Google is main source of traffic for most of blogs and websites. If you site don't appear in search results than you may be missing many of your valuable readers. A good search engine optimization can give your website a good amount of search traffic from Google. If you want traffic for your blogs or sites than you must submit site to search engines. So now question is how to submit website to Google ? Some time websites took days to get index in Google. So lets discuss how to get index faster in Google and start appearing in Google search in minutes. These steps are not new. These are same old steps but many of us not follow them or may be you don't know them. 1. Submit sitemap of your website/blog to Google Webmaster tool. Also you must have sitemap for your blog. If you dont have sitemap than you must create one for your blog/website. Click here to know how you can create sitemap for your blog. i ) Go to https://www.google.com/webmasters/tools/sitemap-list and select site from verified site list for which you want to submit sitemap. ii) Click on ADD/TEST SITEMAP button. A window will popup. type or paste your sitemap there. for example rss.xml or sitemap.xml. Click submit sitemap. Make sure that it got submitted without any errors. 2. Fetch your New URL as Google Bot. i) Go to https://www.google.com/webmasters/tools/googlebot-fetch/ and select site from list of verified websites. In next window you need to specify path of your page. Note : Parent domain is already there you only need to provide rest part of URL. ii) Select desktop and click fetch button. Please care that it should fetch successfully without any error. After it get fetched refresh page. You will see submit to index button in front of your fetched URL. Click "Submit to Index" and submit by selecting "Crawl only this URL" radio button. Google webmaster tool have one page where you can directly submit any URL for indexing. There is not need to verify domain with Google for that. Any URL can be submitted using Google URL submit tool. Go to https://www.google.com/webmasters/tools/submit-url/ type your URL in box or simply copy paste your new URL. Fill correct captcha verification code and click submit request. You are done after following these three steps. Your URL will be crawled and index within few minutes after this. You can check your URL in Google search result. 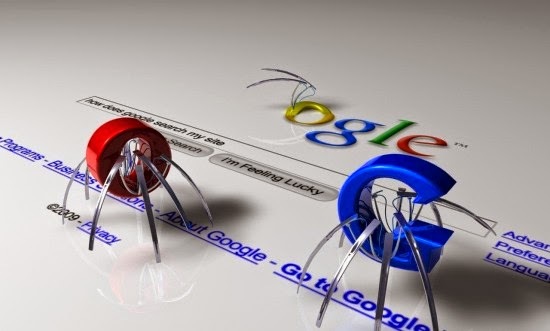 How to check your Indexed URL in Google search ? There is one easy method to check if your new URL got indexed or not. Google to www.google.com and type site:www.yoursite.com in search box. (Where www.yoursite.com ) is link of your site. Check from results. If your new URL is found in results than it indexed by Google. This is how you get your website indexed on Google within minutes.